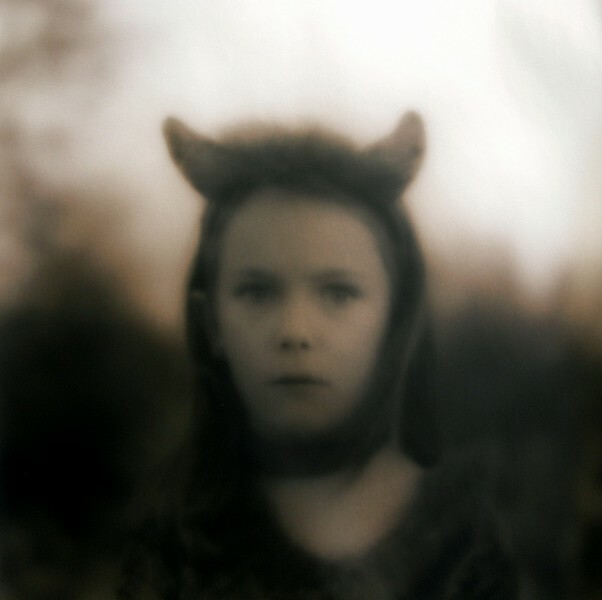 This year marked the first retrospective exhibition for Ken Rosenthal, and with it, his first book, an archive of ten years of photographic projects — Seen and Not Seen, Not Dark Yet, Ghosts, A Dream Half Remembered, Missing and Days Between. Ken Rosenthal: Photographs 2001-2009 contains 14 of his most iconic images from these projects, several of which photo-eye has been proud to represent on the Photographer’s Showcase for many years. 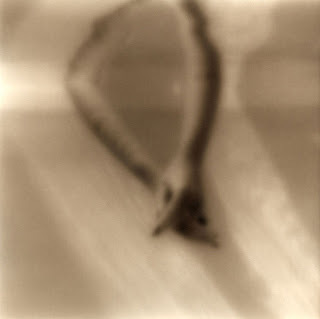 Rosenthal's much anticipated publication was selected as one of photo-eye’s Best Books of 2011 by Susan Burnstine and Gordon Stettinius. The images from this series established Rosenthal as an accomplished photographer making thoughtful and memorable images in a distinctive style. Deliberately out of focus, they are glimpses from a hazy black & white world of a distant memory — or perhaps a dream. The basic imagery is always simple, making them more familiar — at times eerily so — but belie an emotional complexity. Rosenthal’s images feel at once personal and universal, as if tapping into our collective memories of childhood, our family photo albums, our visual cinematic archive. On this occasion, we’ve asked Rosenthal to tell us a bit more about this series and how he went about making it, putting together his exhibition catalogue, and the process of moving away from the signature style that previously characterized his work. Your work featured on the Photographer's Showcase has a distinctive style and uses an unusual process that you worked in for 10 years. How did you stumble upon making images like this? What about this technique spoke to you? I was trying to make sense of some prints I was working on using family negatives. These images eventually formed the foundation of my series Seen and Not Seen. I had been printing the images completely straightforward, but the prints weren’t at all successful. To me they were too recognizable as my own family, and referred too directly to a specific period of time. I did have a base idea of what I wanted the prints to look like, and a pretty solid idea of how I wanted them to function. I actually stumbled upon my printing technique quite by accident. It was probably the one time that carelessness due to distraction paid off. I was on the phone while printing, which I never do, and was clearly not paying attention fully to the task at hand. As a result of this happy accident, I came upon the style of printing for which my work is known. It did take awhile to figure out exactly what I’d done, and longer still to refine it. But the origin of the technique was really a byproduct of chance. When working in this method, there's a difference between what you capture with your camera and what ends up the final product in the darkroom. How do you conceive your images? Are you visualizing the final outcome when shooting, or does the image come to its own spontaneously in the darkroom? There is indeed a huge difference! I’m often asked if I shoot my images out of focus, which I do not. I always shoot my film in focus, enabling me to have complete control over how much detail I allow each image to have. All of the image manipulation is done in the darkroom. Due to the nature of my process, I do have to visualize how I want the image to look in the print before I take the shot. Without wanting to give too much away about my printing technique, the way I expose and light a shot is determined by how I envision the print will look. My images are often conceived with a series in mind. My series usually start off with several images that have been shot some time ago. I’ll periodically go through older contact sheets, looking for images that I’m interested in but have not printed before. It’s fascinating to me how differently an image reads several years after I’ve shot it from how it did at the time I took it. They are constantly changing, I suppose, because we are constantly evolving. Anyways, I like to make work prints of these images and lay them out together. Eventually several images will begin a dialogue with each other, and spark some ideas that shape the direction of the series. Ken Rosenthal: Photographs 2001-2009, your first book, is a wonderful retrospective catalogue of your work. Can you tell us a little bit about putting this project together, your decision to feature the tight selection of 14 images, and using the online fundraising site Kickstarter? I embarked on this project last year after a chat with my friend Mary Virginia Swanson (aka Swanee). We talked about a show that I had upcoming, and Swanee thought the time was ripe to produce a catalogue of my work. I had been showing for a fair number of years at that point, and it made sense to bring out a publication, even a modestly sized one. The only real obstacle was I did not have the funds to produce a catalogue, especially one with print quality high enough to do justice to my prints (which are not easy to reproduce well.) We set up meetings with a fantastic design firm owned by a friend of mine, as well as with a local press, and began moving forward (despite the lack of funding.) Late one night I recalled a website for crowdsourced funding of creative projects, Kickstarter. There were a few photography projects on the site, including one by a friend, and it seemed like as feasible way as any I could think of to come up with the finances. Swanee was skeptical at first, but the more in depth we researched past and active Kickstarter campaigns, the more we believed it might work. I spent a great deal of time on the site, and did extensive research before concluding that it was feasible to raise the needed funding through the launch of a Kickstarter campaign. My thinking was that this was a good way to, in essence, pre-sell the catalogue, as well as a limited edition of the catalogue with a choice of silver-prints. Additionally, it enabled me to offer prints at a smaller size, and at a less expensive price than my regular editioned prints sell for. I have for some time wanted to be able to make some work that was at once accessible to more people without competing with the works that my galleries handle. The scope of the project, 14 images, was two-fold. For one thing, I needed to scale the project to fit the budget I had to work with. But more than anything, my goal is to find a publisher interested in publishing a larger collection of this work. I have a very tight edit of approximately 60 images that I feel would make for a very strong debut monograph. You recently moved on from the formal process that characterized your pervious work. What were your reasons for leaving this technique behind and how has this changed the way you make images? Has this altered conceptual elements behind your work? Yes, for several years now I have very gradually been inching away from the formal qualities that people associate my work with. When one works in a highly stylized manner for a long time, it can be hard to break away from that for any number of reasons, not the least of which is the expectations of one’s audience. And there’s also the comfort factor. It took me a while to realize that some of the things that made me reluctant to change were, in and of themselves, reason enough to change. As an artist, it is not to your benefit to play it safe, to remain stationary. You have to keep moving forward and taking chances. In 2010 I began working on a series (now nearly completed) titled That Was The River, This Is The Sea. It is the first series where I backed off of the blur I had employed for years. In this body of work there is still a very recognizable connection to my earlier work, both in terms of subject matter and conceptual concerns. The main departure I made was formally, in my style of printing. The series is still highly autobiographical in nature, as is the latest series I’ve begun working on. Some of the negatives I began working with were of images that I tried to include in earlier series but that didn’t translate well to the way I was printing. I’m currently working on a very dark series of landscapes, titled The Forest. It’s probably the most complicated and personal work I’ve done. All of the images have been made in the Selkirk Mountains, in NE Washington State. My family has a cabin in the Colville National Forest, and I have spent nearly every summer of my life there. There is no place on earth that I have greater affection for. But as beautiful a place as it is, there is a very palpable sense of mystery and darkness. I believe that there is a very strong presence in this forest, a presence that is hard to define but is experienced viscerally. 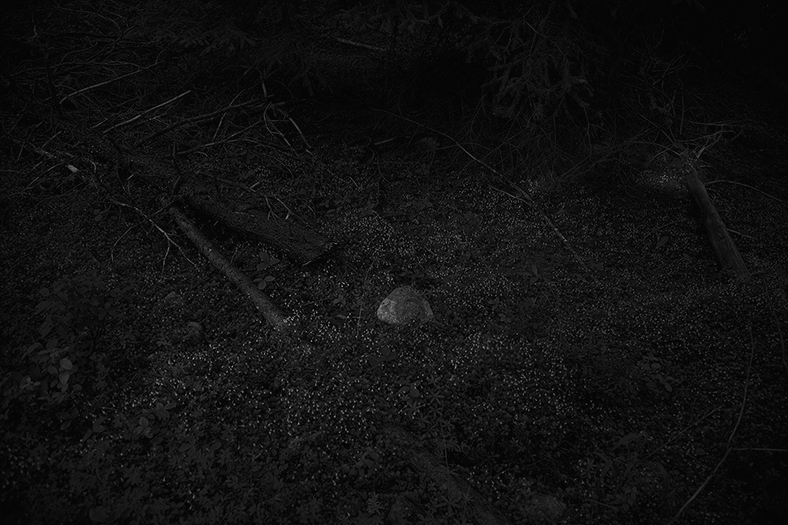 On the periphery, the forest appears pristine: very neat, and seemingly ordered. But upon hiking further in you realize that there is more of a state of disorder. Fallen trees and jagged branches litter the forest floor. Majestic pines give way to a more gnarled mass of decayed and fallen trees, clusters of anthropomorphic trees akin to those in a fantastical film. This body of work in part relates to a specific place, but is in essence an exploration of self. 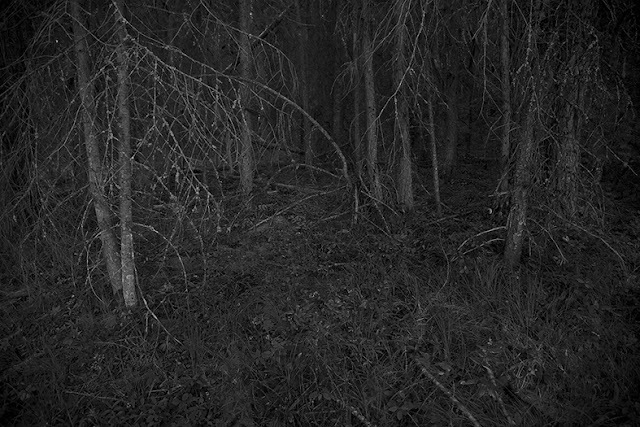 While The Forest is a series of landscapes, the work is really not about landscape or the region depicted in the photographs. The landscapes function as metaphor for an internal state. The work is very dark and densely layered, visually as well as in content. To me, the photographs are more closely aligned with fairy-tales, story telling and portraiture/self-portraiture than with landscape. The images are interwoven with thoughts on magic, loss, spirits, discovery and renewal. I’ll be returning this summer to continue working on the series.